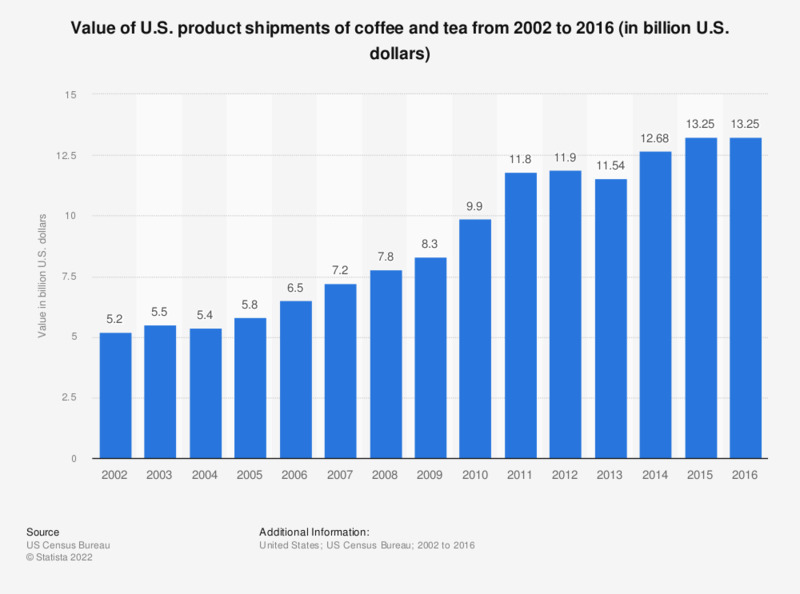 The timeline shows the value of product shipments of coffee and tea in the United States from 2002 to 2016. In 2016, the U.S. product shipment value of coffee and tea amounted to approximately 13.25 billion U.S. dollars. Which hot beverage do you drink most often?